Welcome to the first in our series of articles about Estate Planning, and why it’s such an important subject. You’ve probably been told how important it is to have a will by the media (if not your friends and family). And they’re right-a will is one of the most important legal documents you will ever create. But what exactly is a will? And why is it so important? A will is a set of instructions for one or more people (your Executors) to carry out in the event of your death. And among those instructions will be details of what you’d like done with your personal property. Depending on your circumstances, a will can become quite a complex document. So it’s important to have yours prepared in consultation with both your accountant and a lawyer well versed in this area. Once your will has been drawn up and you’re happy, it needs to be executed (signed) in the presence of two independent adult witnesses. This involves you (the Testator) and the two witnesses signing all pages of the will. Once your will has been signed, nothing should be added to it. And I mean nothing. Even a paperclip indentation could suggest something was added after the will was executed, and possibly invalidate it. create a new will that includes wording to the effect that it replaces all previous wills. So what happens to your personal property when you die if you don’t have a will? Well, it all comes down to the laws of the laws of intestacy. 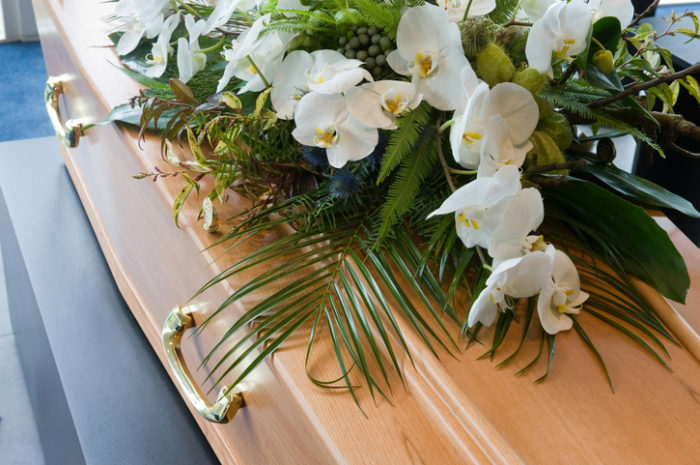 These vary from state to state, and so where you were living at the time of your death can become a factor. For example, in Western Australia it’s governed by the Administration Act 1903, which has various formulas for disposing of a deceased person’s assets based on their marital status and whether there are any dependants. This is why having a legal will is so important. It lets you control what happens to your personal property when you die, rather than having it decided by someone who has no idea about your particular circumstances or preferences. As soon as practicable after your death, the Executor will make a list of your assets and liabilities. However, some of them may not actually be dealt with by your will. Depending on the size of your Estate, the Executor may apply for a Grant of Probate through the Supreme Court. This gives them the authority to deal with your Estate’s assets and pay any liabilities, such as funeral expenses. As part of the application the Executor will swear an affidavit about your assets and liabilities, which is why we recommend getting help from a lawyer in this area. As you can imagine, the role of the Executor is a serious one. It makes them personally liable to the beneficiaries of your Estate. So it should only be performed by someone with good financial knowledge. Once all the expenses have been paid, the Executor distributes your assets in accordance with the terms of your will. Depending on the contents of your will, they may have the power to either sell your assets and distribute the proceeds, or distribute the assets themselves. Both scenarios have tax implications, and so you should get advice from your accountant before deciding how your assets should be distributed. As I mentioned earlier, not all of your assets will be dealt with by your will. For example, any land you hold with one of more joint tenants will pass to them regardless of what you’ve put in your will. Your superannuation benefits may also be paid differently to what you specified in your will. This is why it’s important not only to have a will, but also to have it drawn up with help from accountants and lawyers who are well versed in this area. When it comes to wills and estate planning, there will always be a compromise between flexibility and having your wishes accommodated. While the instructions of your will may not be carried out to the letter, you should always plan as if they will be. That way you’ll have the best chance of getting your wishes fulfilled. In future articles we’ll be talking about why you should review your will regularly, as well as looking at who can contest or challenge the provisions of your will. In the meantime, if you have any questions about wills or estate planning don’t hesitate to get in touch with us.